A Cherry Security System, Inc. Comment: It is a medical office bldg. closed for sometime now. Buglers entered the bldg. through window disabled the alarm system and stole my security cameras. that's why I need to put metal securtiy bars to protect the windows.. and would like to have an estimate. Oklahoma City Home Security Companies are rated 4.67 out of 5 based on 2,387 reviews of 20 pros. 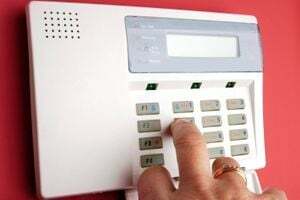 Not Looking for Home Security Services Contractors in Oklahoma City, OK?